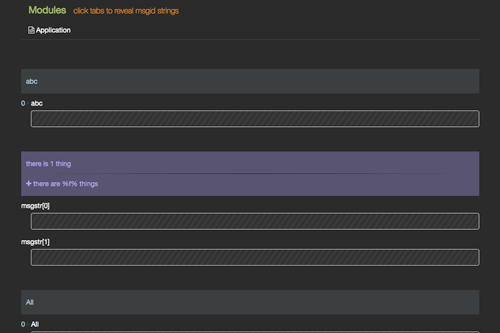 Translating Your Zend Framework 2 App? Tired of "the leading desktop app"? We wanted a web-based editor too. Catalog explosions, temp files vanishing, team-commit headaches, path changes...ugh. Things of the past. Install gettext, then install this with composer, and add this module to your application config. 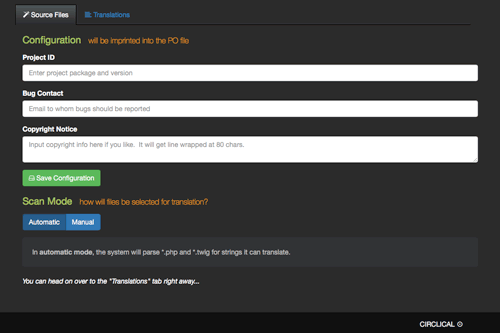 Access /translate to use a web-based GUI to parse and translate all your PHP and Twig code. 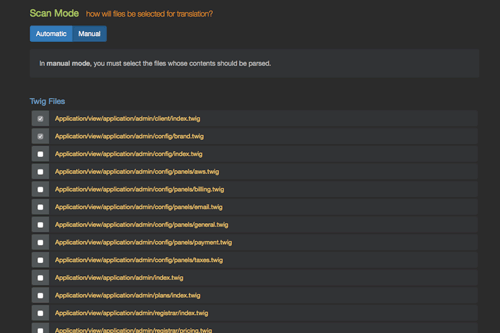 Save and compile PO/MO files automagically, in 1 simple step, from right within your app. 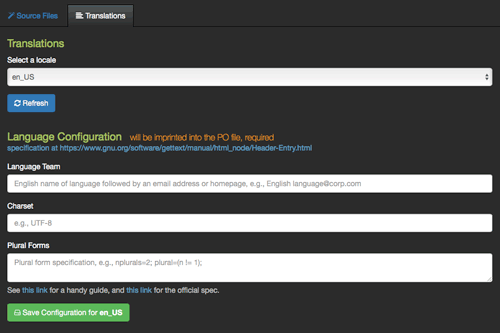 Configs and PO files are automatically module specific, PLUS, it's hella easy to use. Copyright © 2016, Circlical Inc.